If someone had told me that in my senior year of high school I would be a National Cheerleading Champion and Varsity Competition Team captain, I would have thought they were out of their mind. Yet here I am, entering my fourth year of high school and third year cheering for Dublin High School and I couldn’t have asked for a more perfect way to settle in to the DHS community. 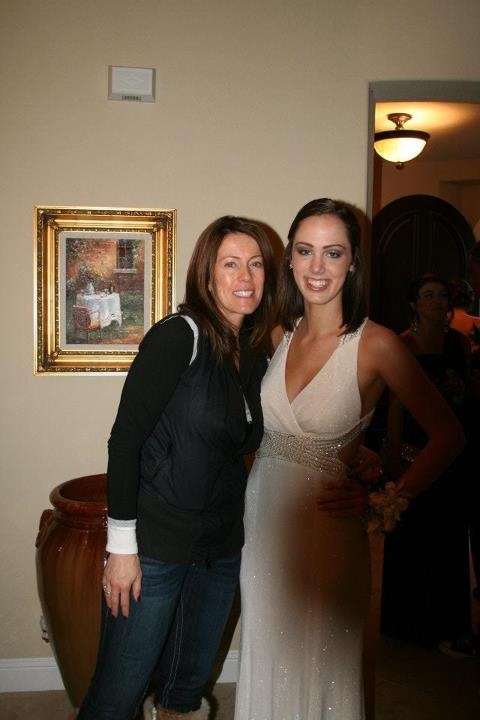 My mom suggested I try out for cheerleading in my freshman year when she learned that Kristine Cousins, the award-winning Fallon Middle School Cheerleading Coach, would be expanding the cheer program at Dublin High. Honestly, being a “pom-pom girl” had never been on my mind, but after experiencing my sister’s National win at Fallon Middle School I knew this sport had a lot more to it than just “2-4-6-8” cheers with pom-poms! I’ve danced competitively with the McGrath School of Irish Dance since first grade, but was struggling with learning the cheer routines. “In Irish dance I only use my feet, I can’t figure out how to dance with my arms!” I remember telling my coach. Fortunately for me, the DHS cheer coaches work closely with girls during tryouts; they helped me learn the routine and I was chosen for the first ever DHS Cheer Competition squad. The risk I took led me to a sport, a discipline and a cheer family that have made my high school years better than I could have imagined. 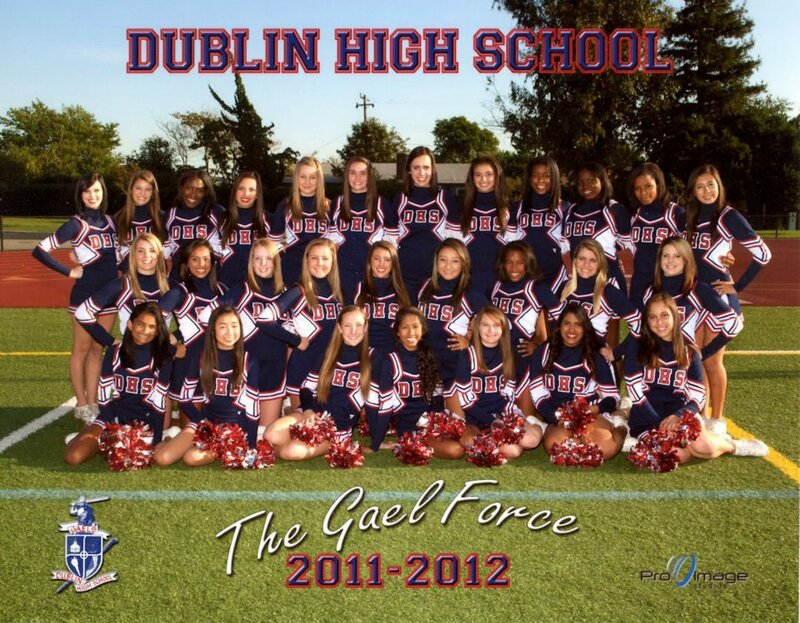 During the time that Coach Kristine Cousins took over the inclusive Dublin High program, the cheer team has tripled in size. It is now divided into several teams. There are three divisions for the sideline program: Freshman, Junior Varsity, and Varsity. There is also a Varsity Competition team which is made up of 9-12 graders who compete at both regional and national levels. And for the upcoming school year, we will also have a Junior Varsity competition team! Kristine doesn’t turn any student away from her sideline program(s). If the student is willing to practice, perform, and adhere to high academic standards, they are welcome to cheer at DHS! Being held to even higher expectations as the role-model label of captain, I make an extra effort to welcome the beginning cheerleaders and work closely with the assistant coaches. The program is continuously looking for new techniques we can bring back to practices so, already in June and July, we have attended two all day weekend camps plus one over night camp in order to perfect our stunts, jumps and improve routines. Not only do these camps bring us together as a team athletically, it also bonds us psychologically and socially. While at camp, the camp trainers look for these bonds and recognize the girls by rewarding them with Spirit Sticks. 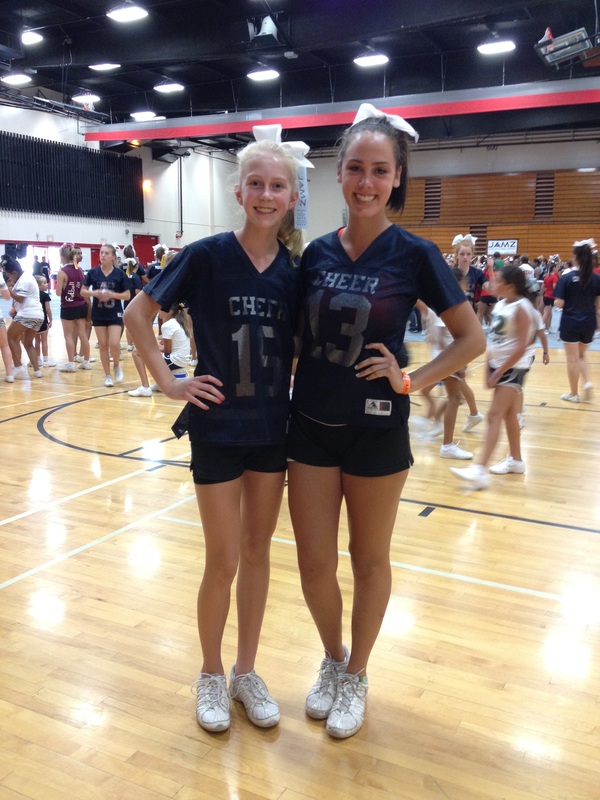 The sticks awarded at camp are just as valuable to a cheerleader as are the trophies earned at competition. We decorate the spirit sticks once awarded and the girls really have a fun time with the challenge. As a captain I admit to some stress involved in the planning for camp, the injuries that may occur, and the fatigue in the days after camp, but the payback is always worth it. Furthermore, this past weekend while at camp coach Kristine had a very sad family emergency and was not able to attend our Sunday show. I was so proud of our team, who came together, put on a great parent performance, then immediately went home to organize a gift basket for our coach. Our parents came together to help Kristine with organizing her kids and the program while she would be out-of-town to visit her very ill sister. 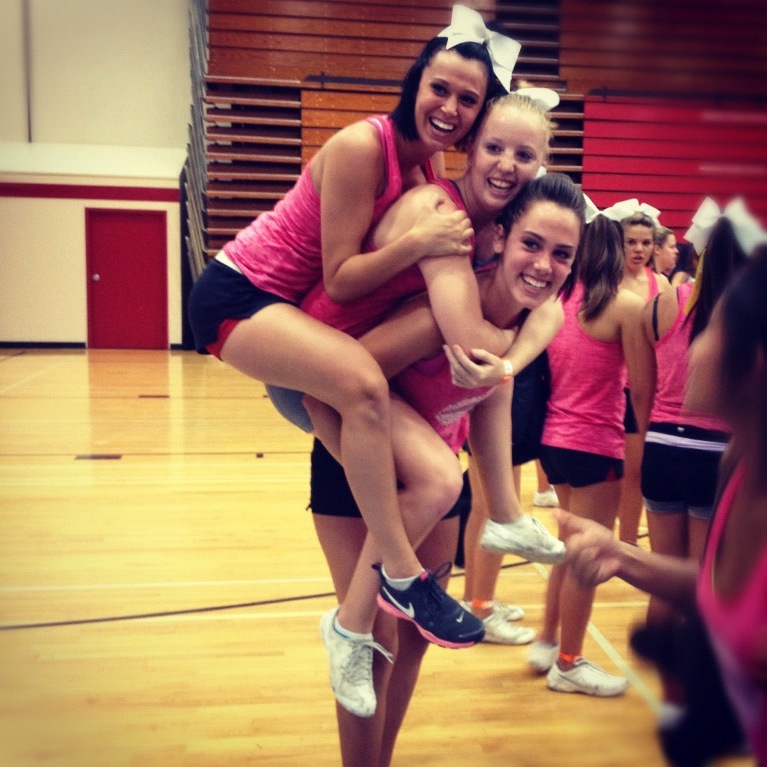 Commitment is huge in the sport of cheer. Cheer camps are in addition to the mandatory three practices per week during summer and the optional Saturday Boot Camp for conditioning. But our hard work has paid off. 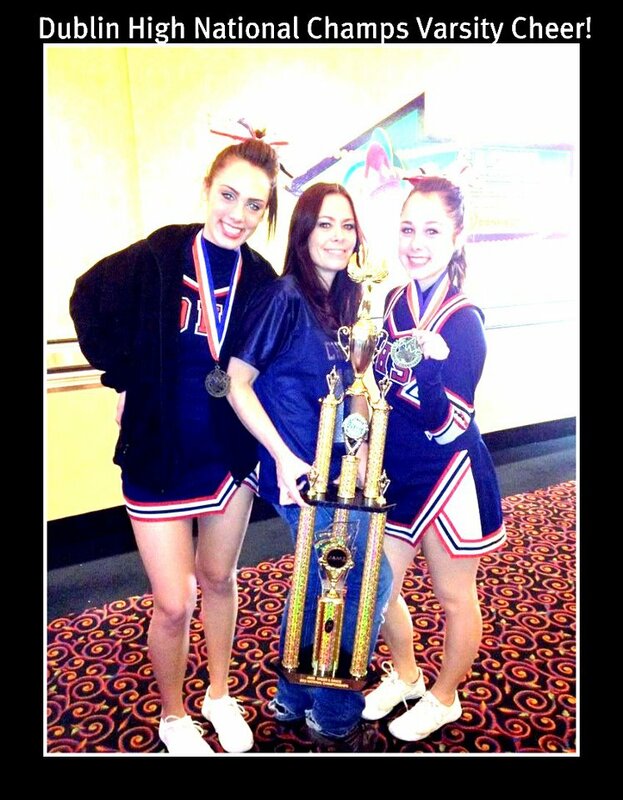 We qualified for Nationals at both Jamz and USA regional competitions in 2011/2012, and in 2012 we took the National Title for Varsity Squad in Las Vegas which earned us a Varsity letterman’s jacket. I expect we will again go up against some tough competition in 2013, but if we keep doing what we do best – cheering each other on – both in and out of our cheer uniforms – I suspect we may be wearing the coveted championship jackets for another year! 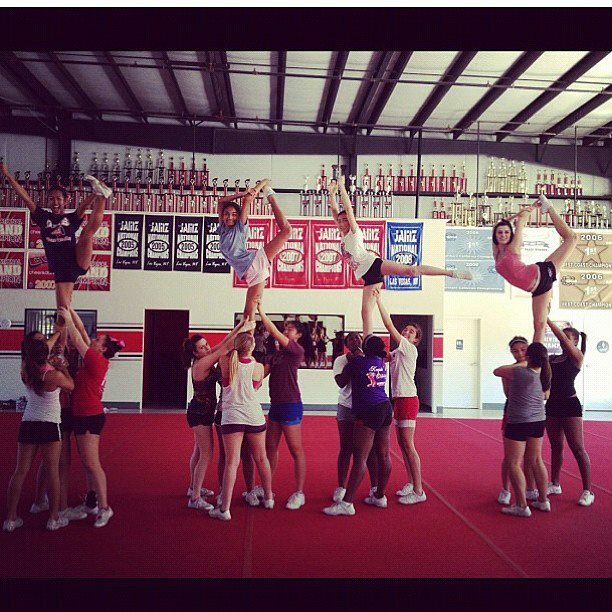 I am so grateful to be a part of this school, this disciplined sport, this cheer family.